If you believe communication is key to building a better world, then we have the degree for you! Your education will cover everything from public relations and advertising to journalism and organizational communication. Because there is always a demand for communication, our programs work to prepare you for more than just your first job. Our graduates work as editors, marketing specialists, account managers and more. Some go on to practice law and serve as elected officials. With a degree in communication and journalism, the possibilities are endless. 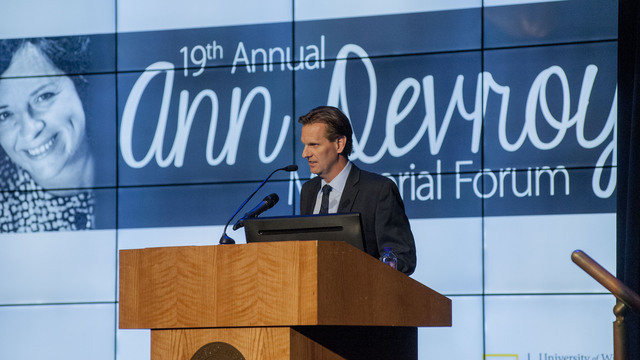 Blugold and Washington Post reporter and editor Ann Devroy remains a legend in Washington media circles. Following her untimely death, her colleagues and supporters created a fellowship and scholarship awarded each year to a promising student journalist. We're accredited! 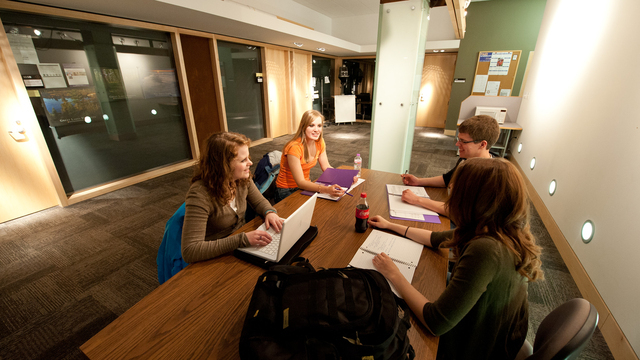 Our department is one of approximately 100 programs in the United States accredited by the Accrediting Council on Education in Journalism and Mass Communications, or ACEJMC. 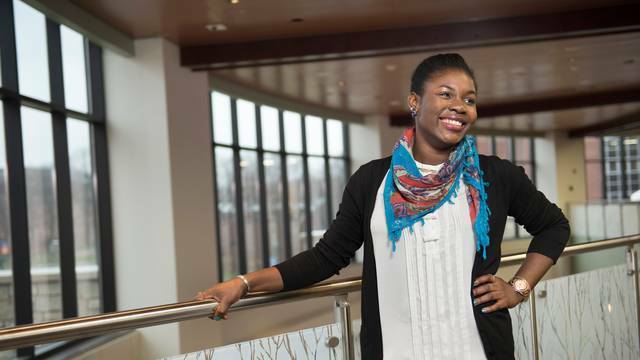 When Magdalene Abang came from Nigeria to UW-Eau Claire, she wasn't sure what to expect. The uncertain “young girl” who first arrived on campus has grown into an independent, confident young woman thanks to her years as a Blugold. Alumni Sage and Silvia Albenali grew up in different parts of the world but shared a desire to go to an American university. 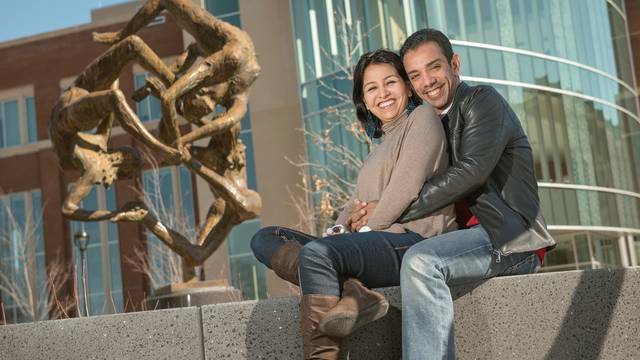 Now married and living in Kuwait, they returned to campus to celebrate all the university has given them.